Last May, I wrote about the papers for our Fine Art Prints which, at that time, were all manufactured by Hahnemühle. 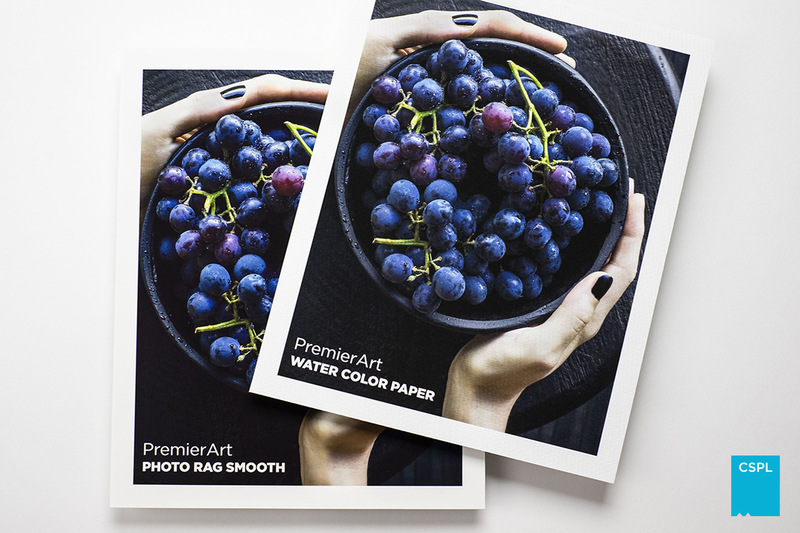 Now our collection has grown and I’d like to introduce you to our two new Fine Art papers from Premier Imaging! 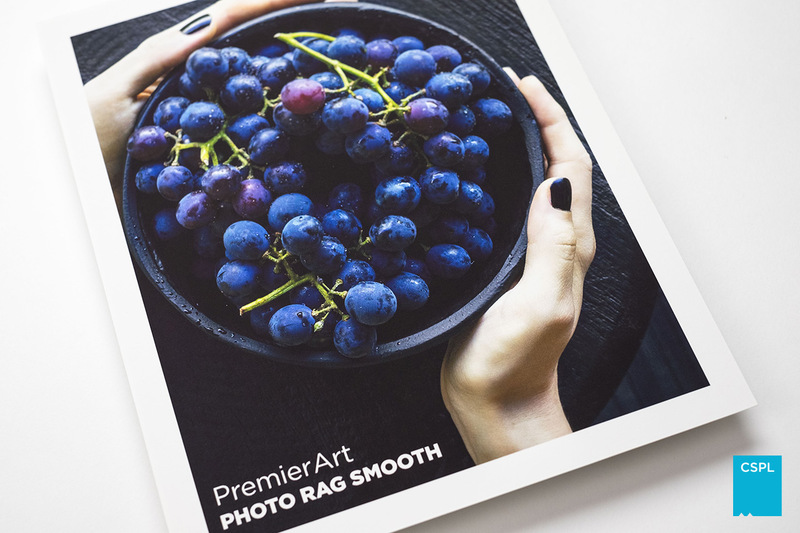 The first is PremierArt Photo Rag Smooth. It’s 100% cotton and natural white with a smooth surface for fine detail. It’s an all-around great paper that I can see becoming my new favorite. Whether you’re making prints of artwork, graphics or photographs, this is a safe and beautiful choice. The second newcomer to our lineup will please many of our clients who have wanted a very textured water color paper. 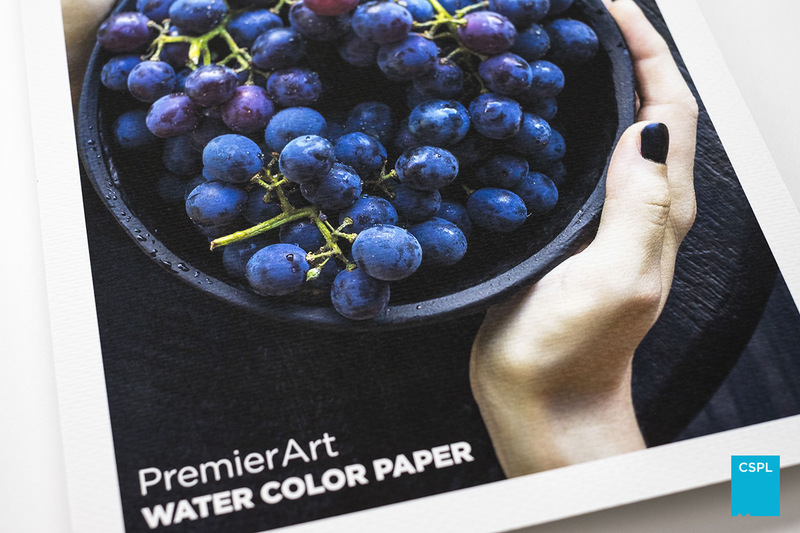 Our PremierArt Water Color Paper fits that bill. It’s heavily textured for a distinctive look and we’re finding that customers reproducing artwork have been enjoying this choice! This paper is bright white and made from acid-free alpha cellulose. Both of these new papers offer attractive pricing while meeting our commitment to supply highest quality materials. PremierArt papers are certified by Wilhelm Imaging Research for permanence. For added protection from atmospheric contaminants, they are buffered with calcium carbonate as specified by the Library of Congress for archival papers. We’re excited to expand our Fine Art papers to include these new offerings and proud of our collection! The impact that Fine Art paper has on printed images is so special. I hope you’ll give it a try with one of your meaningful photos and see for yourself!